ICTM Colloquia are small scholarly meetings typically involving 20 to 30 invited ICTM members who have conducted research on the Colloquium's theme. 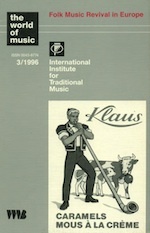 Initially launched by Dieter Christensen (Secretary General of the Council from 1981 to 2001), Colloquia aim at furthering the exchange of ideas and dialogue among specialists from different parts of the world, as well as gaining and disseminating new insights on themes that are relevant to music and dance research. These scholarly meetings are designed to provide an environment conducive to the appreciation of different systems of thought and ideas. Sometimes they are associated with festivals and conferences, allowing dialogue with other participants and with the public. Papers are often circulated in advance to provide ample time for discussion. Corrections or additions to the information listed below are welcome, and should be sent to the Secretariat. To propose a new ICTM Colloquium, please consult the relevant Memorandum on ICTM Colloquia. 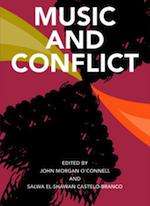 Resulting publication: O’Connell, John, and Salwa El-Shawan Castelo-Branco, eds. 2010. Music and Conflict. Urbana: Illinois University Press. Resulting publication: Wolf, Richard, ed. 2009. 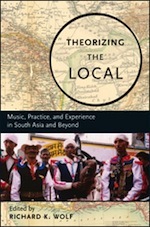 Theorizing the Local: Music, Practice and Experience in South Asia and Beyond. London and New York: Oxford University Press. Purchase from Amazon.com. Resulting publication: Asensio Llamas, Susana, and Josep Marti, eds. 2004. TRANS 8: Música en España y música española: Identidades y procesos transculturales. Resulting publication: Fujie, Linda, ed. 1996. Folk Music Revival in Europe. 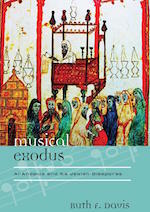 Special issue, World of Music 38/3 (articles by Owe Ronström, Marianne Bröcker, Jadranka Važanová-Horáková, Oskár Elschek, Max-Peter Baumann). See Table of Contents. Resulting publication: Mahling, Christoph-Hellmut, Stephan, Münch, and Erich Stockmann, eds. 1996. Ethnomusicology and Historical Musicology: Common Goals, Shared Methodologies. Berlin: Hans Schneider. 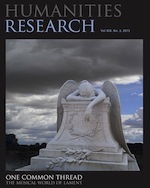 Resulting publication: Moyle, Alice Marshall, ed. 1992. Music and Dance of Aboriginal Australia and the South Pacific: The Effects of Documentation on the Living Tradition. 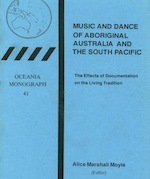 Oceania Monographs series No. 41. Sydney: University of Sydney. See Table of Contents. 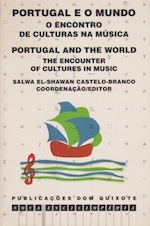 Resulting publication: Castelo-Branco, Salwa El-Shawan, ed. 1996. Portugal and the World: The Encounter of Cultures in Music. Lisbon: Dom Quixote. See table of contents. Place: Kingston & Newcastle, Jamaica. Resulting publication: Kaeppler, Adrienne, ed. 1988. 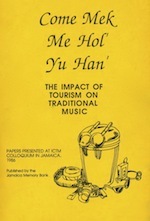 Come Mek Me Hol’ Yu Han’: The Impact of Tourism on Traditional Music. Jamaica: Jamaica Memory Bank. See Table of Contents. Resulting publication: Tokumaru, Yoshihiko, and Osamu Yamaguti, eds. 1986. The Oral and the Literate in Music. Tokyo: Academia Music LTD. Resulting publication: Feld, Steven. 1981. 'Flow Like a Waterfall': The Metaphors of Kaluli Musical Theory. 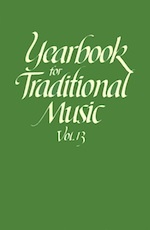 Yearbook for Traditional Music 13: 22-47. See first page. Access via JSTOR.